For the vast majority of cancer drugs experiencing shortages over a seven-year period, researchers found no statistically significant effect of shortages on chemotherapy treatment. Although the proportion of patients receiving treatment declined for six drugs, including fluorouracil, doxorubicin, and cytarabine, the use of 32 other cancer drugs was unaffected or even increased during shortage episodes. Likewise, dosages declined for only a few drugs during shortages. The results were published in Clinical Pharmacology & Therapeutics. The authors noted that while the shortages may not have been noticeable from a treatment perspective, they may have come at personnel and psychic costs not measured by the study. “This study only measured one dimension of oncology drug shortages: the effect on utilization,” said Jacobson. Shortages are defined using the U.S. Food and Drug Administration (FDA) definitions. The points represent the coefficient estimate for the shortage effect. The bars are 95% confidence intervals for each coefficient. Points highlighted in cardinal and gold are among the top 25 chemotherapy drugs in the Medicare claims. 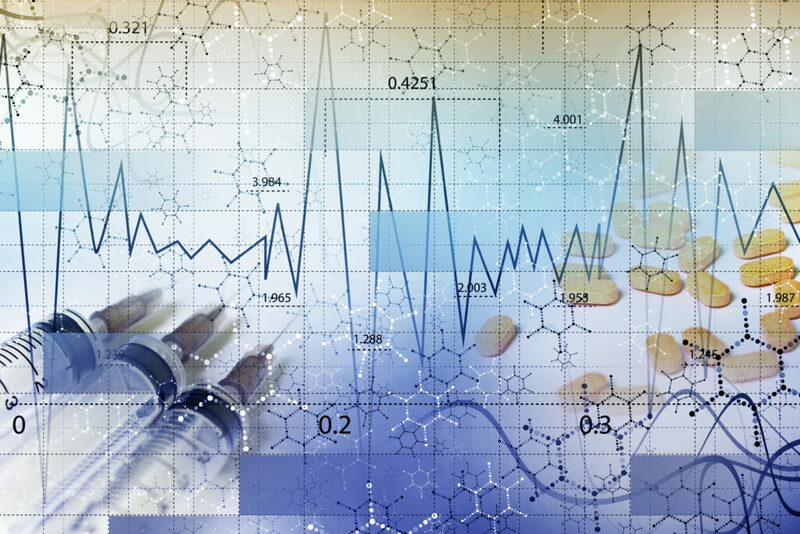 Data is not available for capecitabine, daunorubicin, asparaginase for units per patient because units are missing during the FDA shortage months. Missing units occur when a drug is billed for in an outpatient hospital setting rather than a physician’s office. The authors found little impact on outpatient chemotherapy treatment for the majority of oncology drugs identified as experiencing shortages between 2004 and 2011. 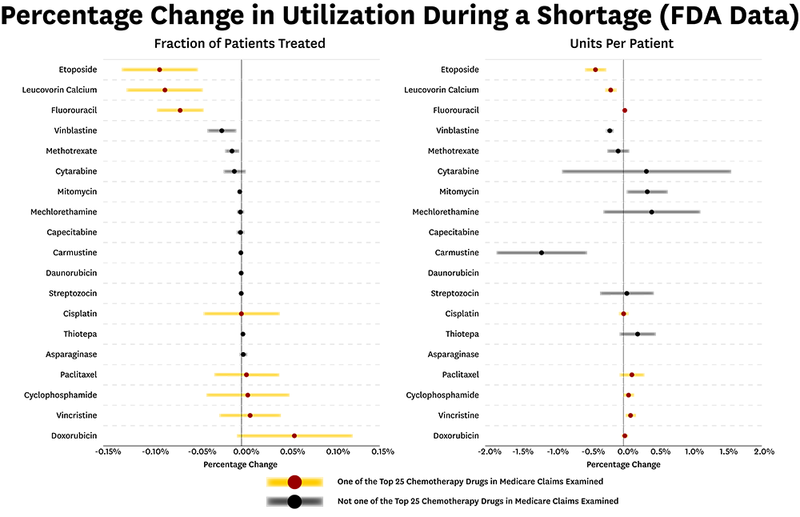 Even among the most commonly used chemotherapy drugs— those ranked in the top 25 prescribed drugs in the sample—researchers found almost no change in treatment during shortages, including minimal effect on dosing volume. The authors found the portion of patients receiving treatments declined for six drugs, including generic drugs that have been on the market for decades. “It seems that when some drugs become older and very low cost, there is not as much investment in making sure they are available,” said Jacobson.